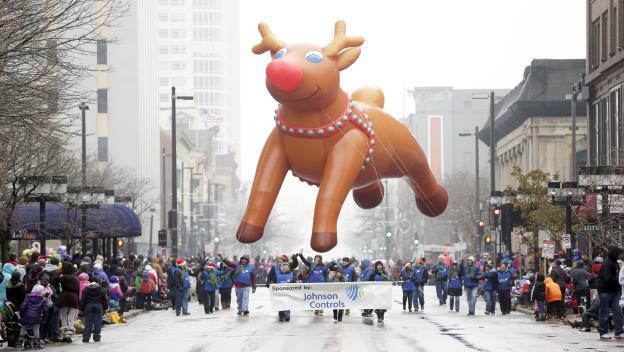 The Milwaukee Holiday Parade and Presenting Sponsor Johnson Controls are proud to announce the details for the annual Holiday Parade in Downtown Milwaukee. Now in its 89th year, the parade features approximately 100 units and will take about 1-1/2 hours to pass a given point. • And, of course, Santa Claus! The parade begins at 9:30 a.m., and will continue un- til approximately 11:00 a.m. 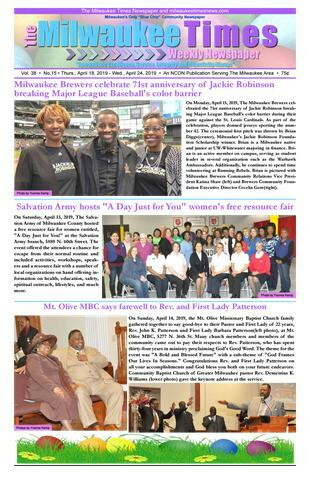 Attendance for the parade is free and all are welcome. Ad- ditionally, live TV coverage will be aired on Fox 6. The parade route begins on Kilbourn Avenue and As- tor Street, continues west to Old World 3rd Street where it turns left and continues south to Wisconsin Avenue. The parade officially ends in front of The Shops of Grand Avenue on the corner of Old World 3rd Street and Wisconsin Avenue. From its start in 1927, the Milwaukee Holiday Parade remains a cherished Wis- consin holiday tradition. As in previous years, approximately 500 Johnson Controls volunteers will be collecting non-perishable food donations along the parade route to benefit Hunger Task Force’s Food for Families. Over the past several years, volunteers have collected tens of thousands of pounds of food in addition to cash donations. “This is the tenth year in a row that Johnson Controls is collecting food and cash donations during the parade to benefit Food for Families,” says Associate Producer, Kathy Neuberger. “Thanksgiving is the week following the parade, and the food collection is the perfect way to get everyone in the spirit of the season. It really feels like the holidays are here when you see a community coming together to help one another.” Parade spectators are encouraged to donate generously, and items most needed include evaporated milk, peanut butter, and canned fruits and juices. Attendance in previous years has been estimated as high as 100,000, and the parade continues to grow in support and participation. 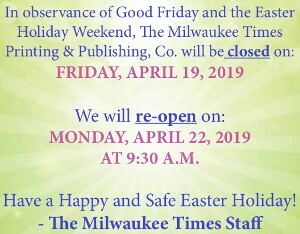 For more information or a detailed parade route map, visit www.milwaukeeparade. com.